Tomato blight struck about one week ago. All plants shriveled up and died within a few days. The fruit got ever expanding rot. I harvested about 60 pounds and canned prior to the outbreak. The season has been old and wet all Summer. 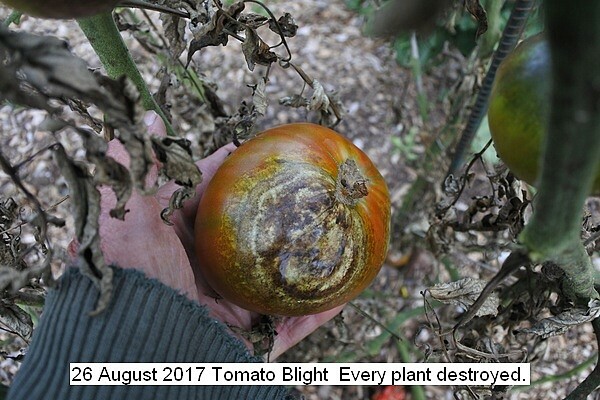 This entry was posted in Uncategorized and tagged 26 August 2017 Tomato Blight, Tomato Blight. Bookmark the permalink.